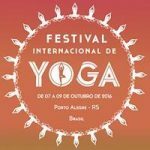 The First International Yoga Festival in Porto Alegre was held from October 7 to 9, in City Hall and at the Usina do Gasômetro, with the aim of spreading the millennial practices that contribute to the quality of life of people and populations. 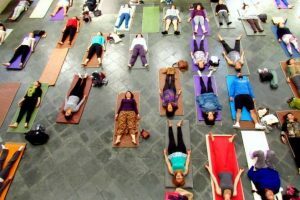 It was in line with the United Nations Assembly Resolution 69/131, of December 2014, which reaffirmed “the importance of individuals and populations making healthier choices and following lifestyle patterns that foster good health”, and recommending to all member states that they share and encourage more balanced and harmonious lifestyles, “recognizing that yoga provides a holistic approach to health and well-being”. 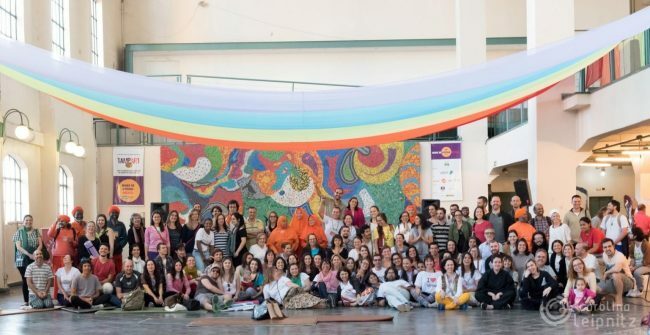 In keeping with these principles and objectives, Ananda Marga of Porto Alegre, along with Usina do Gasômetro and the City Council and other partners, organized and sponsored the First International Yoga Festival, which was a great success. 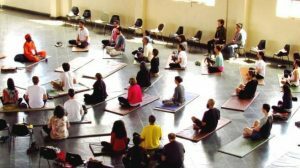 The idea of organizing a Yoga Festival germinated from a workshop that I attended, that was held in May 2015 by Dharma4all, an organization founded to support projects promoting spiritual development and neohumanist living as taught by Shrii P. R. Sarkar. In that workshop we learned a simple and basic technique for writing a project proposal. As part of the exercises we did, I was imagining many people and yoga groups coming together with stalls, workshops, classes and lectures at the same time. So when I went back to Porto Alegre, I started to talk with others about this idea. In the beginning I was thinking about a Yoga Conference, but people felt that was too intellectual, and my idea was not to just have lectures, but other activities as well, so we decided that a Yoga Festival was a better event. Dharma4all was awarding grants to a number of projects, and was accepting applications for 2016 projects. So we needed to put our idea into writing. As my Portuguese is not good enough to write a project proposal, many others stepped forward to help me and we collectively discussed and came up with our project proposal, for which we were granted funds in November 2015. Our first challenge was finding a place to hold the event. Since our event was going to be free of charge, we had to work hard to find a suitable space that we could afford. After many months of work, we decided to hold the festival in two places nearby; lectures in the City Council and other activities like yoga classes, fair, food stall and workshops would be in the Gasometer Plant which belongs to City Hall and which is 7 minutes walking distance from the City Council. The location is well known and easy to reach in the city. We had a meeting in April with the Director of Culture, Secretary of City Hall and the President of City Council, and were approved for the Yoga Festival to be held in October 2016. After this we assembled our team to plan the program. We had four sub-teams; program, communications, fair decoration and reception. We began our intensive preparations at the end of July when our website and Facebook pages were ready. Many meetings and sub-meetings were held, pamphlets were distributed, yoga groups and centers were contacted, as well as exhibitors for the fair, and we advertized through, Facebook, email, danced Nagar Kiirtan in the park, etc. 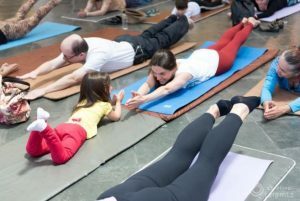 We invited the most popular yoga groups in the city, including Hari Krishna, Brama Kumaris, Shivananda, Self-Realization Fellowship and the Zen Buddhists. All of them showed great interest to work with us. This was the most beautiful part of the event; everyone offered their help voluntarily. We didn’t have any star in the event, but we had everyone’s contribution and sincerity. This met our goal of the festival creating unity and peace for the city. So even before the festival itself was materialized, we felt unity and enthusiasm growing. We invited 11 lecturers. More than 50 yoga and meditation teachers offered to give classes and workshops through our website advertising. We selected among them and came out with 33 activities from more than 25 yoga centers, yoga institutions and the university. 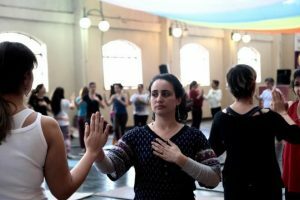 The activities included Yoga classes, Yoga for children classes, Indian dance performance, Yoga performances, Kiirtan, Circle dance, Bio-dance, Kaoshiikii dance, Poetry readings, Meditation workshops, Art workshops and, Yama and Niyama workshops. There were also 20 exhibitors for the fair with yoga mats, cushions, plants, spices, bamboo bicycles, CDs, books, natural cosmetics, t-shirt and clothes, etc. One week before the festival, we had intense advertising through radio and TV. Our communication team sent out many releases. I was on a radio women’s program with two other women, and we talked about the festival. We had a live TV interview in the early morning of the opening day in the Gasometer Plant. We also had an opening night in the City Council with more than 200 people during which there was a dialog between Ananda Marga, Unipaz (The Academic Institute of Peace) and the Zen Buddhists. The responses were good. By the day before the festival, we had gotten 1042 sign ups through the internet and additionally more than 200 people signed up at the event itself. In the end we had over 700 participants. The whole Gasometer Plant was full of positive energy with colorful decorations, fair and activities which were going on continuously. There were also lectures going on in the City Council. Many people were running between the two locations for the programs. One person told me that she saw one street man walk in and sit for meditation and his face was so peaceful. She said she was so touched by the scene and even crying. Many people came to us and shared their appreciation and congratulations for our efforts to hold this event. Many of them were willing to offer their help for the next festival. The team and the volunteers were working intensively and happily in the festival. We ended with a short talk and kiirtan. Finally our dream of holding the festival came true. It was the collective effort that made it possible. We all enjoyed the process; there was much hard work involved, but the joy to see our dream come into reality holds no comparison. My deep thanks goes to all the teams, the volunteers, Dharma4all, and to all those who helped in the festival. You may visit our website at www.festivaldeyoga.com.br and Facebook www.facebook.com/FestivaldeYoga/ for more photos and videos of the lectures.